Joy! - You know it when you see it. And when you are able to bring joy into someone else's life, it is the best feeling in the world. That's what a gift of medicine does for so many. When you give to MAP you bring a smile to a child who has been in pain. You bring happiness to a pregnant woman who is worrying about her baby. And you bring tears of joy to those who have lost everything in a disaster. 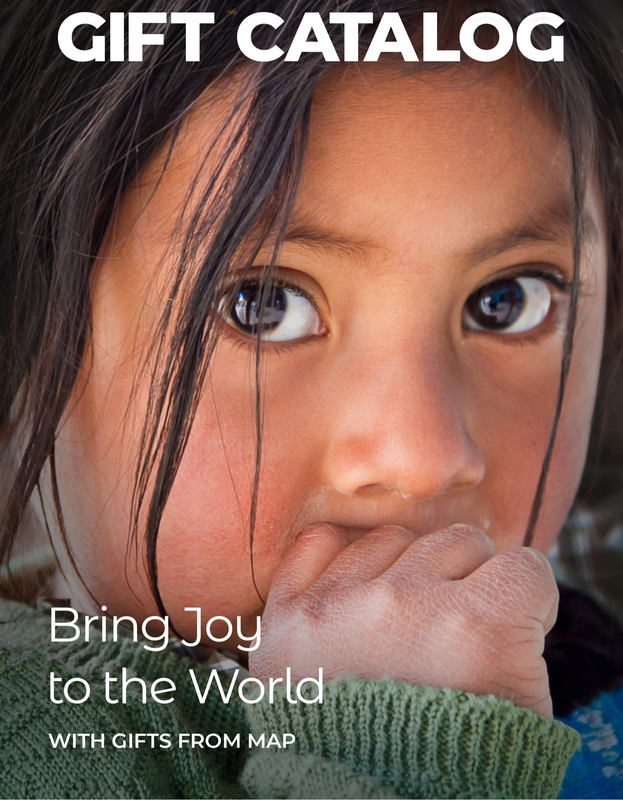 Choose a Gift BELOW to Help Bring Joy Today! The MAP Gift Catalog is available for you to view BELOW. Whether antibiotics, a stethoscope or prenatal vitamins, the gift you give will change—and perhaps save—a life. And the person you honor will share in the joy of giving a gift of health. Be sure to 'Scroll Right' on the gift catalog below to see the full selection of items you can choose to help change a life. More than anything in the world, Mellisia wanted a child. So she was thrilled when God answered her prayers, and she became pregnant. But soon Mellisia’s joy turned to anguish; she became terribly sick. Her limbs swelled, she couldn’t breathe and she couldn’t keep any food down.